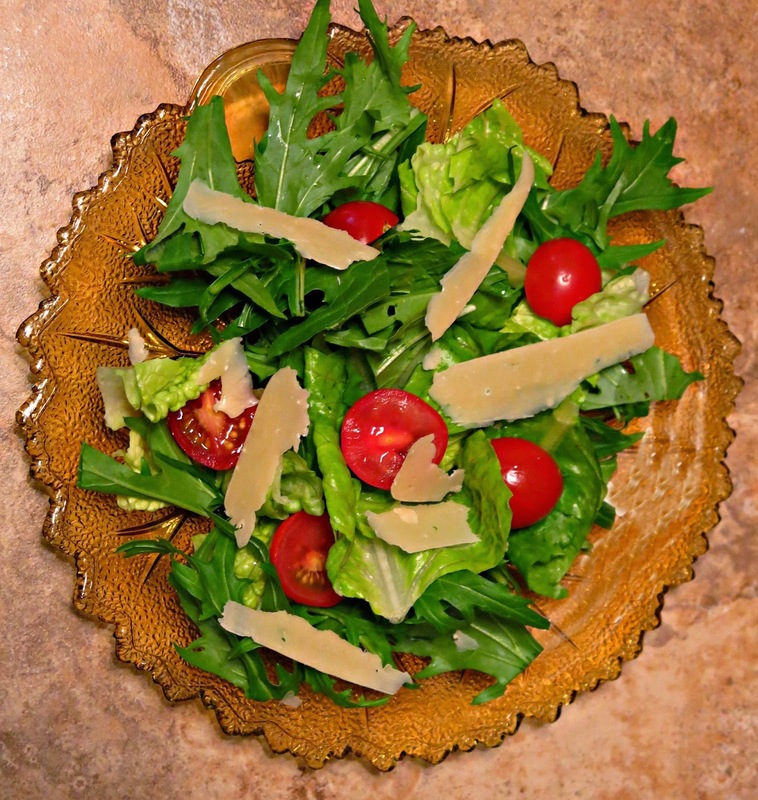 Ever heard of mizuna? Green garlic? Pack choy? Not me. But I got a bundle, a bunch and a head, respectively, in my Happy Box. Aren't they pretty? 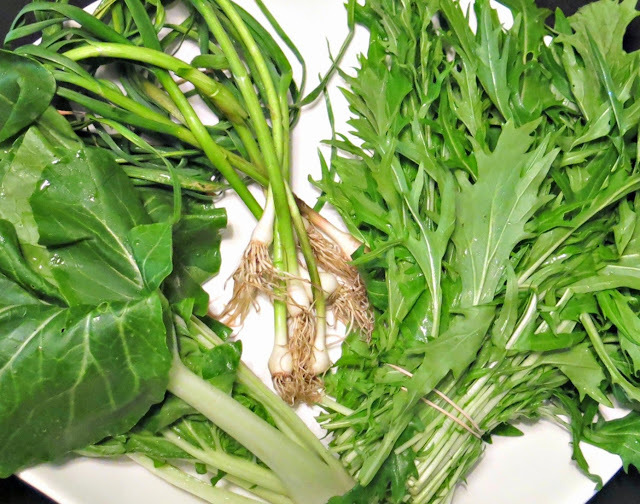 Mizuna (the spiky one pictured on the right) is a leafy green member of the mustard family, native to China. It is generally eaten raw in salads, but can be cooked. It is a cruciferous vegetable, which means it helps reduce your risk of cancer. It's also a great source of vitamins A, C and K.
Pack choy, it tuns out, is just another name for bok choy, or Chinese cabbage, which you often see in stir fries. (It's the one pictured on the left.) It also has high levels of vitamins A and C.
Green garlic is exactly what it sounds like: an immature garlic plant. If you dislike the strong taste of garlic, try this instead. It has a bit more delicate flavor (use only the green tops in anything that needs just a hint of garlic flavor; the bulb is more pungent) and can be used in any way you would normally use garlic. 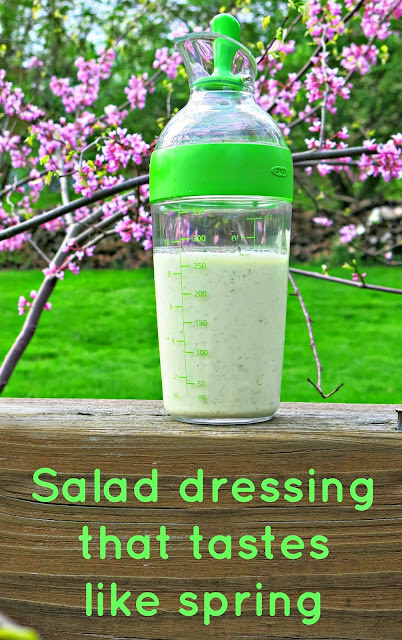 Trust me, this dressing is delicious -- bright and creamy with just the right amount of kick. Sounds so light and zesty! Sounds amazing! I am going to have to try this. Stopping by from Link 'n Blogs. Hope you have a great weekend! I just love the dressing! 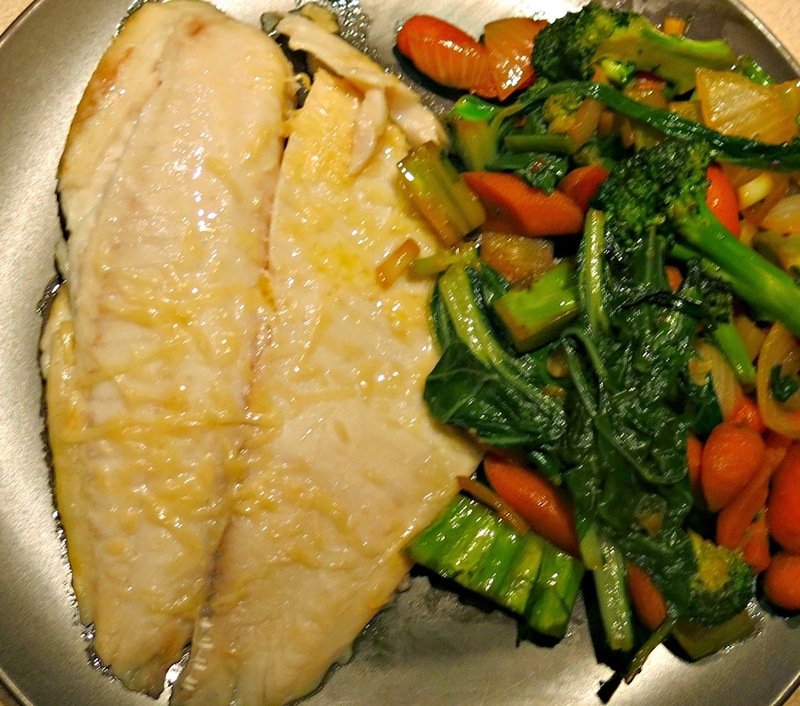 Thanks for visiting culinaryflavors.gr!